Configure ASP.NET Identity with ASP.NET Web API (Accounts Management) – Part 1. ASP.NET Identity 2.1 Accounts Confirmation, and Password/User Policy Configuration – Part 2. 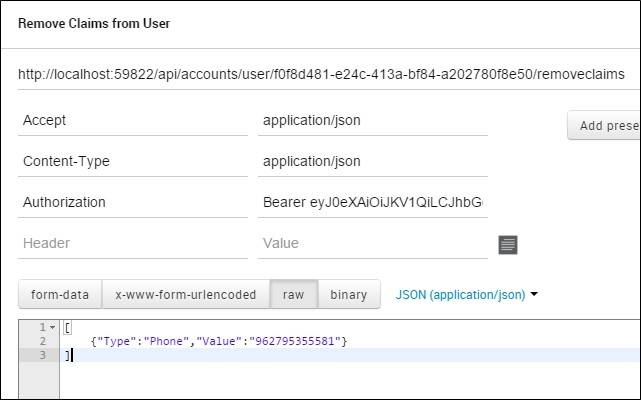 Implement JSON Web Tokens Authentication in ASP.NET Web API and Identity 2.1 – Part 3. ASP.NET Identity 2.1 Roles Based Authorization with ASP.NET Web API – Part 4. In the previous post we have implemented a finer grained way to control authorization based on the Roles assigned for the authenticated user, this was done by assigning users to a predefined Roles in our system and then attributing the protected controllers or actions by the [Authorize(Roles = “Role(s) Name”)] attribute. Using Roles Based Authorization for controlling user access will be efficient in scenarios where your Roles do not change too much and the users permissions do not change frequently. In some applications controlling user access on system resources is more complicated, and having users assigned to certain Roles is not enough for managing user access efficiently, you need more dynamic way to to control access based on certain information related to the authenticated user, this will lead us to control user access using Claims, or in another word using Claims Based Authorization. But before we dig into the implementation of Claims Based Authorization we need to understand what Claims are! Note: It is not mandatory to use Claims for controlling user access, if you are happy with Roles Based Authorization and you have limited number of Roles then you can stick to this. Claim is a statement about the user makes about itself, it can be user name, first name, last name, gender, phone, the roles user assigned to, etc… Yes the Roles we have been looking at are transformed to Claims at the end, and as we saw in the previous post; in ASP.NET Identity those Roles have their own manager (ApplicationRoleManager) and set of APIs to manage them, yet you can consider them as a Claim of type Role. As we saw before, any authenticated user will receive a JSON Web Token (JWT) which contains a set of claims inside it, what we’ll do now is to create a helper end point which returns the claims encoded in the JWT for an authenticated user. The code we have implemented above is straight forward, we are getting the Identity of the authenticated user by calling “User.Identity” which returns “ClaimsIdentity” object, then we are iterating over the IEnumerable Claims property and return three properties which they are (Subject, Type, and Value). Subject: Represents the identity which those claims belongs to, usually the value for the subject will contain the unique identifier for the user in the system (Username or Email). Type: Represents the type of the information contained in the claim. Value: Represents the claim value (information) about this claim. Assigning claims to the user on the fly based on user information. Creating custom Claims Authorization attribute. 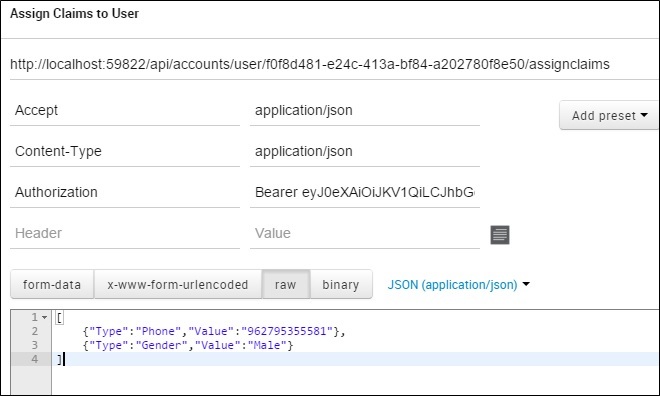 Managing user claims by using the “ApplicationUserManager” APIs. Let’s assume a fictional use case where our API will be used in an eCommerce website, where certain users have the ability to issue refunds for orders if there is incident happen and the customer is not happy. So certain criteria should be met in order to grant our users the privileges to issue refunds, the users should have been working for the company for more than 90 days, and the user should be in “Admin”Role. To implement this we need to create a new class which will be responsible to read authenticated user information, and based on the information read, it will create a single claim or set of claims and assign then to the user identity. The implementation is simple, the “GetClaims” method will take ApplicationUser object and returns a list of claims. Based on the “JoinDate” field it will add new claim named “FTE” and will assign a value of “1” if the user has been working for than 90 days, and a value of “0” if the user worked for less than this period. Notice how I’m using the method “CreateClaim” which returns a new instance of the claim. This class can be used to enforce creating custom claims for the user based on the information related to her, you can add as many claims as you want here, but in our case we will add only a single claim. Notice how the established claims identity object “oAuthIdentity” has a method named “AddClaims” which accepts IEnumerable object of claims, now the new “FTE” claim is assigned to the authenticated user, but this is not enough to satisfy the criteria needed to issue the fictitious refund on orders, we need to make sure that the user is in “Admin” Role too. To implement this we’ll create a new Role on the fly based on the claims assigned for the user, in other words we’ll create Roles from the Claims user assigned to, this Role will be named “IncidentResolvers”. And as we stated in the beginning of this post, the Roles eventually are considered as a Claim of type Role. The implementation is self explanatory, we have created a method named “CreateRolesBasedOnClaims” which accepts the established identity object and returns a list of claims. Inside this method we will check that the established identity for the authenticated user has a claim of type “FTE” with value “1”, as well that the identity contains a claim of type “Role” with value “Admin”, if those 2 conditions are met then; we will create a new claim of Type “Role” and give it a value of “IncidentResolvers”. Notice how we attribute the action “RefundOrder” with [Authorize(Roles = “IncidentResolvers”)] so only authenticated users with claim of type “Role” and has the value of “IncidentResolvers” can access this end point. To test this out you can issue HTTP PUT request to the URI “http://localhost/api/orders/refund/cxy-4456393” with an empty body. As you noticed from the first method, we have depended on user information to create claims and kept the authorization more dynamic and flexible. Keep in mind that you can add your access control business logic, and have finer grained control on authorization by implementing this logic into classes “ExtendedClaimsProvider” and “RolesFromClaims”. Another way to implement Claims Based Authorization is to create a custom authorization attribute which inherits from “AuthorizationFilterAttribute”, this authorize attribute will check directly the claims value and type for the established identity. Created a new class named “ClaimsAuthorizationAttribute” which inherits from “AuthorizationFilterAttribute” and then override method “OnAuthorizationAsync”. Defined 2 properties “ClaimType” & “ClaimValue” which will be used as a setters when we use this custom authorize attribute. Inside method “OnAuthorizationAsync” we are casting the object “actionContext.RequestContext.Principal” to “ClaimsPrincipal” object and check if the user is authenticated. If the user is authenticated we’ll look into the claims established for this identity if it has the claim type and claim value. If the identity contains the same claim type and value; then we’ll consider the request authentic and complete the execution, other wist we’ll return 401 unauthorized status. Notice how we decorated the “Get()” method with the “[ClaimsAuthorization(ClaimType=”FTE”, ClaimValue=”1″)]” attribute, so any user has the claim “FTE” with value “1” can access this protected end point. The last method we want to explore here is to use the “ApplicationUserManager” claims related API to manage user claims and store them in ASP.NET Identity related tables “AspNetUserClaims”. In the previous two methods we’ve created claims for the user on the fly, but in method 3 we will see how we can add/remove claims for a certain user. The implementation for both methods is very identical, as you noticed we are only allowing users in “Admin” role to access those endpoints, then we are specifying the UserId and a list of the claims that will be add or removed for this user. Then we are making sure that user specified exists in our system before trying to do any operation on the user. In case we are adding a new claim for the user, we will check if the user has the same claim type before trying to add it, add if it exists before we’ll remove this claim and add it again with the new claim value. The same applies when we try to remove a claim from the user, notice that methods “AddClaimAsync” and “RemoveClaimAsync” will save the claims permanently in our SQL data-store in table “AspNetUserClaims”. There is no extra steps needed in order to pull those claims from the SQL data-store when establishing the user identity, thanks for the method “CreateIdentityAsync” which is responsible to pull all the claims for the user. We have already implemented this and it can be checked by visiting the highlighted LOC. That’s it for now folks about implementing Authorization using Claims. Thanks for a great series of articles. They have been a huge help with understanding the identity model and how to make it work with ASP.net webapi. I was curious if you had done the next article yet where you are using AngularJS with the the Authorization & Authentication. Thanks for your comment, to be honest not yet, hopefully I will be able to publish it soon. Thanks for the great series of Articles, your site has been very helpful. I have learnt more from this than pretty much any other blog. Excellent work. Nice blog. Congrats on becoming an MVP. I would like to ask some questions to get clarification on a workflow scenario you mentioned earlier. I think I got confused between client_id and audience_Id. In a scenario where we have separate jwt auth server/ web api/ angular client. what should be the workflow for audienceid propagation. When angular client calls a protected webapi (without jwt token), it’ll send back 401 response and then in angular client using the interceptor we redirect it to the login screen which calls the auth server. I do not check for the audienceid as the client will not know about it. auth server generates the jwt token (once the login credentials are validated) with audienceid for the resource server and then angular makes the request with this new jwt token to the protected webapi which then decodes it (if it matches the audience id) with base64 secret respective to that audience_id. I do remember reading somewhere on this blog, that on the Auth server, we should validate the client_id/audience_id. My confusion whether client_id here is different from audience_id? or have I got this all wrong. Ok thanks. Its like the merge of both post includes all functionalities. Any idea when you will be doing part 6? It would be good to see how it all gets pulled together by an Angular app. Looking forward to part 6!! I have a question… How would I got about using the email address as the username?? Who still uses usernames as a login name?? I have found a coupe of articles that help with this, but none of them have a solid answer on how to get to this? Unfortunately you need to store the email in userName field to achieve this, I can’t recall that asp.net identity works with emails only without using userName. Thanks a lot for this series of posts it helped me alot in understanding how Identity works, wich I was having a hard time in doing so, looking forward for part 6! This is an amazing series and has helped me learn a great deal. I was wondering if you had done any work implementing the different flows of OAuth. I have been trying to implement the Authorization Code flow and it gets much more complicated, do you have any good references for this. Thanks. If you need full identity server, then my recommendation is to take a look at Think Tecture Identity Server. Eagerly awaiting the last part of the series. Excellent stuff yet again Sir Taiseer. Looking forward to the next in the line up. Thanks for your valuable time friend. You are welcome, thanks for your message. I’m assuming you’ll be doing the front-end wrap up will be in Angular 1.x. If so, I’d like to request a follow-up post in Angular 2.0. It would be great to have a practical resource to start learning 2.0 once it’s out. Very well-written and useful series, thank you! Thank you very much for this terrific tutorial series! I’m a java dev trying to learn about .NET for commercial purposes and your blog is helping me so much! I’ve to ask you something to clarify my thoughts! With this project structure, is a good idea to create a new folder under the project called like “Web”, and inside it put my views / images / layouts ? And I can use ROLES to manage domains ? What do you mean by using Roles to mange domains? Can you elaborate more please? Thank you Taiseer. I help your stuff in my project. Do you have any example of working with identity and and api roles based authorisation using INT for user and role IDs instead of STRING? Hi Taiseer – Thank you for a great set of articles. But I’m wondering if you can help – I’d like to sign-in the user once the email has been confirmed. Like in your articles; I have an endpoint that is called confirm-signup that takes user-id and a token. It’s here that I’d like to sign the user in (and then redirect to a page in my angular app). I’m using the AuthenticationManager and SignIn method (authtype JWT) but the new user isn’t authenticated. Here’s a GitHub Gist to show example code – perhaps you could point me in the right direction of what I’m doing wrong? From your code Gist I noticed that you are using cookies authentication not Tokens, are you sure that you are generating JWT token and your API is configured to understand those tokens? Currently my AngularJS client app performs a login using an owin oauth endpoint based on what you’ve described; hitting the endpoint ‘/oauth/token’. The returned token is stored in the browsers local storage and added to the request headed via a $httpProvider interceptor. Perhaps my gist is confusing my goal; once the user hits the confirm-signup endpoint then I don’t want my client app to prompt the user to enter a password (at least in the browser session directly after confirming their email – I don’t mind password prompting if they revisit my site in a later session). I would like for them to be automatically signed in since I’m trusting that its really them who clicked the confirm link. The main reason is to provide a more fluid experience for the user as they start to explore my site. Based on your response `this.Authentication.SignIn` must be the wrong approach here and giving this more thought I guess I need to some how generate a JWT token and return it as part of the response following the confirm-signup. Like a normal login; my client app can then take the token, store it and use it in subsequent requests (via the same $httpProvider interceptor). Does this sound right? and if so what would be the best approach to generate the token from inside the controller method or should I somehow delegate this to the owin middleware to generate the token as the confirm-signup response passes through it? Any hints on how I could archive my goal would be very much appreciated. Hi Taiseer – for what its worth I thought I’d share the I’ve come up with. To Summaries – In the `AccountController ConfirmSignUp` method; I use the user-manager to generate a custom token which I’ve called GRANT-ACCESS, then redirect to my confirm-signup page with the username and token in the uri. My angular app resolves the ui-route to confirm-signup and performs a login, passing the token as the password. Finally there is an amendment to GrantResourceOwnerCredentials, so that if the `FindAsync` (by username and password) doesn’t return the user then I try again but this time treating the `context.Password` as the GRANT-ACCESS user token to verify. If the token is valid then I return the JWT authentication ticket as if the user had logged in with a valid password. I have looked into the gist and what you did is correct, you created like temporary One time password (token) which will be used to authenticate users for the first time. I just recommend you to check for user existence first thing in method ConfirmSignUp to avoid any exceptions if the user tried to change the user id in the URI. Thanks for the great articles. I’m using this as the baseline for the project we’re working on. Any chance we’ll get to see the last article where you connect everything with AngularJS? If you’re busy, could you give us a hint as to how AngularJS sees the claims? We have different 3 different roles for our site. Thank you for the well written and easy to follow tutorial. I’m looking forward to reading the last piece. Hi Taisser, any idea when part 6 comes? You have any plan? Really appreciate your kindness to share your knowledge, i have question on token base, what if i want to refresh that token and generated new one. Hi Taiseer. Thanks for the great articles. Say please when you plan write 6 part? Thanks for spending your precious time to help the community. I am closely following this post and comments, is it possible to release last part of this series in near future? I would like to thank you for creating this wonderful series of articles and describing each individual element clearly. It helped me alot as a newbie to MVC Asp.Identity. I implemented of all these five posts in my api without any single issue. Now, our api has a requirement to authorize each api user against specific operations or controllers. To elaborate, for eg: JohnDoe as an api user can only access two specific operations where as an another user(JohnDoe2) can access three specific operations. Is there any organized way to implement this kind of functionality in the api ? One way, I thought to customize: Storing each api operation name with a username in Sql tables. When an user will access a specific function, I will get the username from Claims and then validate against the Sql table to see if this user is allowed to perform this action. I need help in uploading to azure. What are the parameters I need to change to make it work on azure cloud. Should I modify the startup.cs file. Please let me know. You can publish it directly to Azure Web Apps, I do not know what you mean by “parameters”? Your blog is great, I can find a lot of great ideas and practical solutions . Therefore I have decided ask you for advice in question of authorization design for business application, that will be available both from intranet and internet. I am planning solution that users logged in domain (intranet) would be authorized automatically in application, while when connecting from internet (out of domain) would be logged in using Two Factor model. Basing on your huge experience could you advise me, suggest, propose any suitable solution? I’ve been developing a cross platform mobile application using Angular, Breeze and Ionic on the front end. I have used your posts to develop the webApi backend. I am able to login with a user name and password and achieve authentication and role authorisation to my webApi methods. My question is….. How do I secure the information being sent over the wire? It looks like everything is sent and received in plane text. Am I missing something? Well when using bearer tokens you need to use TLS all the time, this is a must, and that is the only way to avoid sending data in pain text, TLS all the way. This may seem like a daft question, but….. What do you mean by TLS? Do you mean using https for all communication, which would involve issuing ssl certificates? How would this work on a mobile device? Also…. 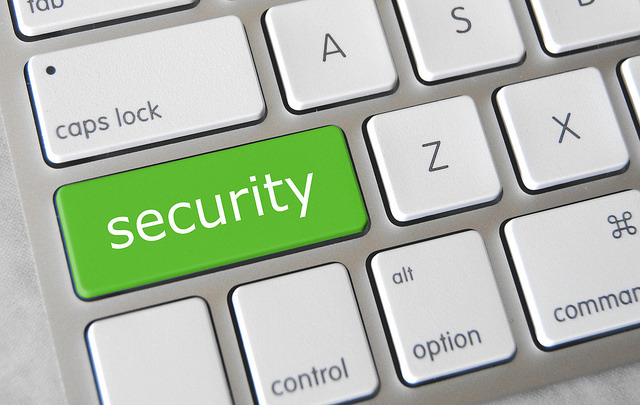 Do you cover TLS in any of your blog articles? If so, could you point me in the right direction. Mobiles has nothing to do with HTTPs as long the certificate is valid and issued by global trusted issuer such as thawte or verisign. This post by Troy Hunt might help. Thanks by this great series of articles. Congratulations! Do you have any idea when the part 6 comes? Have a Q:Where would be the best place to unpack claims within the API so that consumer wouldn’t need to call another end point? And without unpacking claims inside every controller. There is no login controller, there is Oauth/Token end point which logins the user and grants him a token, please read post 1 again. I’ve noticed that the ‘Refresh Token’ code is not included in the source code for this post. Will you be including this when you pull everything together in your final post? I’ll keep plugging away with it, but any help would be appreciated. I’ve already asked this question earlier, but….. Do you think you could include the ‘Refresh Token’ code when you finally pull it all together in your 6th and final post? Are you using JWT tokens format or normal token format provided by Katana implementation? If you removed the Roles and just used [Authorize] attribute will this work? I’m afraid that you are not setting the Roles correctly before issuing the token. If you are using JWT can your try to decode it using jwt.io and make sure that issuer, and roles are set correctly? I’m trying to merge the two projects together and as you can see, I’m struggling a bit. I need to do some more tests, but so far it looks like I’ve refresh tokens working with encoded claims…. Excellent! Can you share your updated code ? We have used your article as a base for our authentication for the past year and it has been running great and we’ve had a moderate throughput of traffic. Over the past couple of weeks the throughput has increased a lot (which is a good thing :)) and we are starting to see the calls to [URL]/token returning as 400 bad request under load, but the majority of the time it response as expected. Have you experience this issue at all? Is it IIS itself that is blocking the traffic? or even .net? Is there a way to prevent the 400 bad request happening under load or even see why its occurring? Is it OWIN that has a setting that needs increasing? The strange thing is that all our other Web APIs are serving responses as expected. Its just the call to [URL]/token returning as 400 bad request. Thank you in advance for you help and time. This guide was very helpful in our small project – I appreciate it! One of our developers has been playing with ASP.NET 5 and asked me if you’ll be providing a revision to your guide for the latest version of .NET now that it’s at the release candidate phase. The authentication/authorization in ASP,NET 5 is really different than this version, until now you can not issue access token, you can just consume them, You need to relay on identity provider for this task. So there is no direct way to upgrade this project to the latest ASP.NET 5 without using external identity provider. Taiseer, thanks for this great series! I am on my second project where I am applying the information I learned from your blog. On my first implementation I was able to use the same server for both the authentication and the resources. On my second I had to separate the two into separate servers and used your blog from 9/24/2014 to make that easy. Thank you for all the help! Now I am about to take the training wheels off and am starting to do something a little different. I need to extend the model a little further by making it easy for anyone else at my company to publish a new resource server that can use either the role authorization attribute or the claim authorization attribute. There are two issues I need to resolve in order to accomplish this and thought I would ask if you had any feedback that will make my job easier. Whether or not you reply I promise to publish my findings as a “reply” to this “comment”. Here is what I am trying to accomplish. Any feedback on the best way to attack these will be greatly appreciated. 1. I would like to create a reusable library that would minimize the work required by a new resource server to use this system. I want to save anyone from having to replicate all of your steps if possible. I know some things must be in each resource server but I want to make that as small as possible. I would also like to move as many of the references and nuget packages to a separate dll wherever possible. Have you had any experience doing this and can share any tips or suggestions? 2. Did you ever separate the “ClaimsAuthorizationAttribute” into a reusable library for a resource server to be able to use? The one you created here only resides in the OAuth server. Or did you simply link the resource server to the oauth server library? I already found out you can’t simply link a resource server to the auth server. Lots of 500 errors. I suspect it was due to the [assembly: OwinStartup(..)] in the auth server causing conflicts with the same call in the resource server. I was able to create a separate library that has all the nuget packages and it’s own “Startup” class. I was able to remove a lot of the Owin nuget packages from the Resource server, too. However, I could not leave the [assembly: OwinStartup(typeof(mylib.Startup))] attribute on the version of the Startup class that is in the separate library because I need to be able to reuse this library with the Auth server and I don’t want to take the chance it will interfere with the Startup in the Auth server. So I created an empty Startup class in my Resource server project and put the [assembly: blah blah] at the top of the local one (but it references the shared Startup). I would gladly accept suggestions on a better way to do this. I’m not sure if you issue only about having the [assembly: OwinStartup(typeof(mylib.Startup))] on Startup class, but there is many different ways to detect Startup classes, here is a detailed post about this. Hope it will help. Awesome! If I go with the config file setting approach I can clean up the process. I didn’t like the idea of having to create an empty Startup file but it was a decent placeholder. I can also change the name of the Startup that is in the core library to something more impressive. Thx Taiseer! The final implementation resulted in a very easy to reuse library that any new resource server simply needs to reference and add two entries to their web.config file and one line to their WebApiConfig.cs file. The new resource server does not need to add any Nuget packages since they are all contained in the separate library (“XYX_OAuth_Library”). Add this “add” line to the handlers section under system.webServer. Note: you want to keep the “remove” before it. This addition allows for the preflight request the browser will make to your server. In your WebApiConfig.cs file in the “Register(HttpConfiguration config)” method you will want to add the following line to “EnableCors(..)”. The third class in my separate library (after my Startup.cs and ExtensionMethods.cs classes) was my new Authorization Attribute. Once I followed all the steps above in my new Resource Server I was able to adorn my controllers or actions using my custom Authorization Attribute. Sweet! Thanks for all your help, Taiseer! Can you share example code? I’d be happy to. The only new code that I didn’t get from Taiseer’s blogs is the extension method which I have shown above. The Startup.cs code was taken from this blog series as was the code for the custom authorization attribute. What other code would you like? It’s the least I can do seeing as I have gotten so much from your blogs, Taiseer! I put the code into a the ReusableOAuthLibrary in GitHub. The library is called “OAuth_Library” (go figure ;o) and I kept a skeleton of one of the resource servers and the auth server. They won’t run after I tore out all of our proprietary stuff but I thought it important to be able to see how the library fit in with them. I welcome any feedback and constructive criticism! Can you advice me where I might look for issue. Can you advice where can be issue or where shall I look. I need to check out the issue, I didnt find login.js in your Repo. Usually 400 bad request is incorrect clientId or Invalid Username/password. Here I’ve a use case, how can I host this Identity as centralized (Authentication & Authorization) service, so that I can call certain end point to make use in different applications?? If you are looking for centralized identity server, then my recommendation is to check ThinkTecuture Identity server and not to built your own from scratch. The setup is not that hard, but needs sometime to understand all the loving parts there. Excellent work. Thank you so much. I use to write articles sometimes, I know this is hard work. But those articles are maybe among the best I read so far, even if English is not my mother tongue, this is clear, understandable and well documented. I followed another serie about same topic, but dating from last year (2014) (Angular JS + Web Api2 + identity), also waiting for the last post part 6, even if I already step forward by adding a personal Angular front using one of your older post. I’ve followed a number of your tutorials and they are great, It would be great if you could provide a basic web site for part 6 using the API, I’ve tried and failed so far ! I’m learning MVC/API/Angular and there are loads of tutorials which in isolation I understand but then trying to put them together into the basis for a real world project is where I’m getting a bit lost. Cuando Estara la parte 6?